We strive for security, commit to the highest standards and deeply respect your privacy. 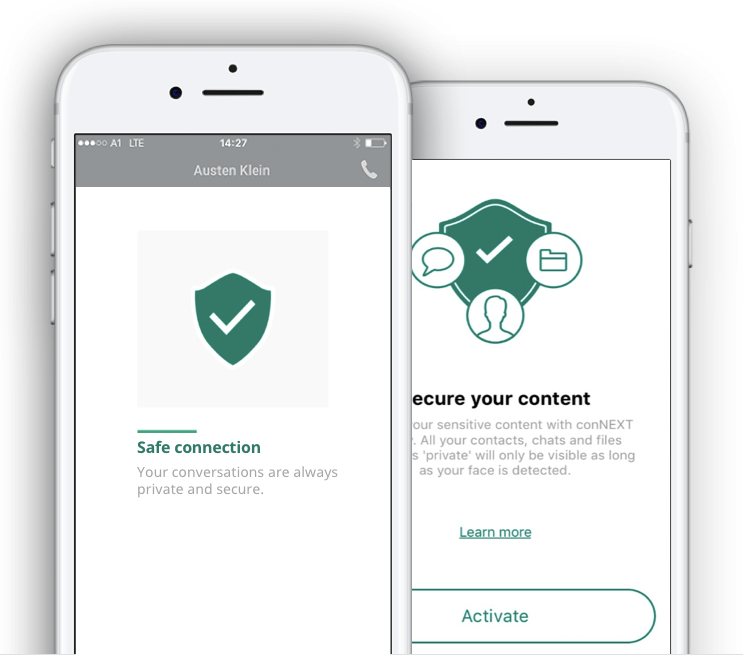 Military-grade end-to-end encryption allows you to always stay in control of your personal messages, photos, videos, documents and no one else is able to get access. conNEXT provides tools that allow interconnection with popular cloud services like Google Maps, iDrive, iCloud and much more. Creating and managing groups, group communication (voice, video, messaging), document scanning, Pin and Touch ID protected documents and much more. Chats, audio, video, photos and files. Connexcom does not collect, share or sell its users data. Our business model is based on paying customers and on the trust to deeply respect and protect each users private data. Still, we want to offer a free version of our solution to allow anybody around the world to use our solution independently from financial means. In this case we are displaying advertising without tracking your user profile nor analysing your conversations. In today’s world conNEXT keep private information safe from external threats and transfers them securely to the destination you wish.